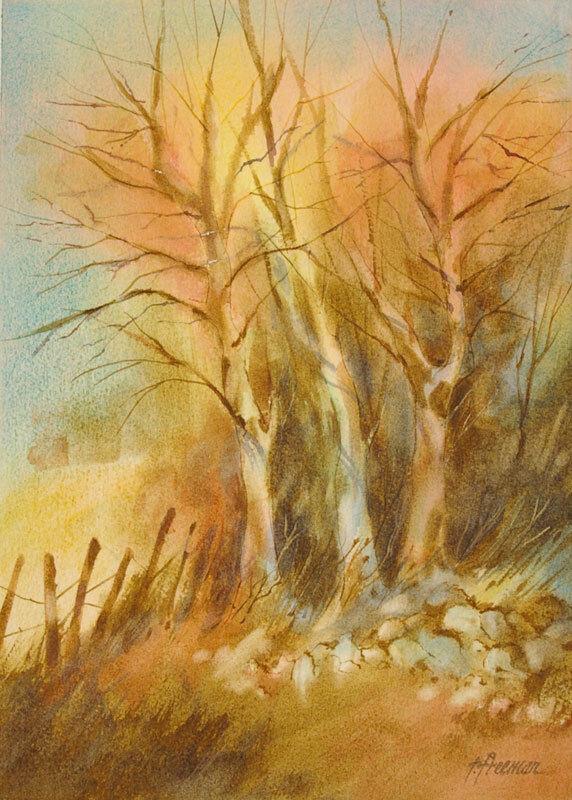 Thomas Freeman Original Watercolor Painting: "Into the Woods"
This experimental painting was painted very wet – colors blending together. I outlined the tree trunks with an Exacto knife and produced the rocks with a bit of toweling while still wet. An interesting technique requiring speed and control.